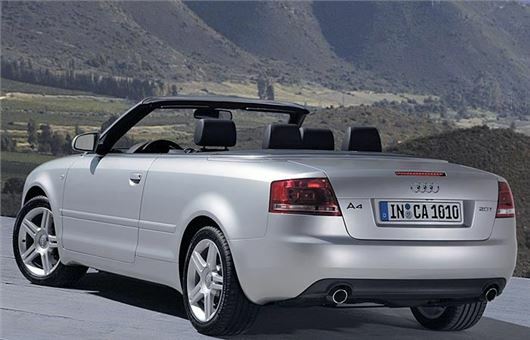 I have a 2006 Audi A4 Cabriolet 2.0 Turbo Petrol S-Line DSG with 63,000 miles. The car has been lovingly maintained by me and serviced at least once a year by a local specialist Audi Garage since new, the first service being carried out by an Audi main dealer. Last weekend a blue flashing oil warning light appeared and the engine then stopped, refusing to start again. There was no smoke or lack of power prior to this. I had it ‘rescued’ and taken to my local Audi specialist garage who has investigated the problem. The cam belt assembly was changed in February 2013 and was still in good condition and had not failed. The oil pump had failed and at the same time a metal chain had broken. This has rendered the engine totally inoperable and I am advised that a new replacement unit is the best option as it would come with a 12-month warranty. Is this a common problem I wonder? I would be grateful to receive your comments. It's a common failing of the 2.0TDI engine. First I’ve heard with the 2.0TFSI. Details in the various VW Passat and Audi A4 B7 entries in /carbycar/ I'll add yours. I bought my 2008 VW Golf in 2011. Since then it has been annually serviced by the same authorised VW dealer. Current mileage is 45,000 (5,000 – 10,000 per year). At the last service the following note was on the invoice “Found cyl 2 spark plug difficult to remove, on inspection found thread worn in head. Carried out rethread as best as possible.” When the service representative explained this, he mentioned that the problem can occur if the car has done a high mileage between changing plugs. He also mentioned the potential need for a new cylinder head in the future. How serious is this problem? The service records indicate a complete change of spark plugs in 2014 (an interval of about 17,000 miles between then and now), and of one plug in 2015. So how might it have occurred? Is it just bad luck or might it have been caused by error on the part of the garage when the spark plugs were changed in 2014? I would say that the only way that could happen would be if the steel plug had been cross-threaded in the alloy head when previously replaced. So if you always used the same garage it's down to them, they know it, and they are trying to fudge the issue. I have a 2015 BMW M4, which is quite excellent and really is a complete car. I have a problem to report: At speeds of 80/85mph there is a clear oscillating droning noise coming from the rear of the car and the brakes are really noisy. I recently had new rear tyres fitted at 16,000 miles by Cotswold BMW in Hereford and the noise continued. New rear tyres were fitted again by Barons of Farnborough who said that the tyres previously fitted were not balanced properly, but the noise continues. On my way to Slovenia where I am now I developed a slow puncture due to a damaged inner sidewall in Germany and had two further new tyres fitted (BMW recovery were quite excellent and the tyres were one third cheaper than in the UK). The noise continues clearly. What is to be done please? I would be happy to leave it with BMW while they take the car away and sort it out as I don't believe that dealerships can deal with an issue like this. I have a 2009 Mazda 3TS2 that has had constant trouble of the ABS and the brake skid symbol appearing after putting on the brake when commencing a journey. It has been into the garage several times for new wheel sensors and bearings but this does not cure the fault. A mechanic at the garage suggested a faulty ABS pump. I saw the letter in the Car Clinic 10th September that this may be the solution. It will have an ATE Teves MK 60 ABS/ESP modulator and the fault is with the brake pressure sensor. ecutesting.com can fix it for about £400. My sister currently has a 2005/55 Mazda 323 saloon that she would like to change for a newer car next year. This should have a higher seating position, compared to the more bucket like seats in the Mazda, but with a similar boot capacity. It also needs to be reliable and economical as she plans to retire next year. I have a 2004 Volvo S60SE, purchased brand-new. No-one can explain why the oil pressure is low. The ‘please stop engine’ warning light in red keeps appearing, especially on longer journeys. When the oil level is checked it is always fine and a new sensor switch has been fitted, but the problem persists. Also, are you aware of any issues with Nissan Qashqais? My wife’s car was purchased new in 2008. The left indicator comes on, ticking away whenever the brake pedal is depressed. The clutch pedal sticks and the interior door opening latch coating on 2 doors has worn off and sharp metallic pieces cut through fingers when opening (used tape to cover it). Nissan dealers will not accept any responsibility for these faults. I want a 2011-2012 Audi 3.0 avant auto. I have read that some of them are fitted with a conventional ZF torque converter type box. Is that correct? If so, does Audi still call them ‘S Tronic’ and crucially, what models are they fitted to? It’s a minefield. I ordered a new BMW in May of this year, and it has just arrived at the dealership. One of the options ordered (Enhanced Bluetooth) was updated and deleted from my car by BMW between ordering and build. I was neither informed of the deletion nor offered the updated, very slightly more expensive, option. Not to have the option is a deal breaker. Do I have grounds to reject the vehicle and seek a refund of the deposit paid? My wife owns a 2011 VW Tiguan SE 2.0 TDI, bought from Listers Volkswagen Nuneaton. We last heard from VW (UK) in April and neither they nor Listers can provide us with any indication of when our car will receive the much publicised software update. Do you know anything as the support/back-up/customer service from both VW and Listers is 'wanting' to say the least; certainly not what I would expect from two such organisations. VW has had problems with the emissions remap on Tiguan 2.0TDIs. I have ten cases on file of the car engines rattling and losing power from 1,400 – 1,800rpm. Two 23R7 updates have been tried: 9977 and 9978, but even 9978 has not fixed the problem on some Tiguans. I have just received my emissions recall letter from VW for my 80k mile 2012 VW CC 2.0TDI DSG. The letter states that "VW has worked closely with the relevant, independent authorities to test extensively the software update". Great, I thought, and being a bit of an engineer I thought I would phone the emissions helpdesk number on the letter and ask for a copy. I expected that it would have been conducted by the UK DVSA as its logo had been used at the top of the letter, but I was informed it had not. I then asked had any British authorities tested the fix and was told no. I then asked for a copy of the report and was redirected to the KBA website which is in German. I phoned them back and they directed me to the report. However it is a summary at best and no more than 50 German words. I then again asked for the report and was told that is all they have. I wish we had a body in the UK that would stand up to VW similar to the US. Standing up to Volkswagen means standing up to Angela Merkel and the EC and there doesn't seem to be anyone in Europe brave enough to do that and threaten the bankruptcy of the company and the hundreds of thousands of job losses. This is not a concern to the Americans, of course. I have been driving a Vauxhall Sports Tourer 1.7CDTI for several years. Since April this year, I have to make regular trips down some very narrow lanes in Cornwall. The Tourer is 1.82 metres wide, one of the lanes is only 1.88/9m and has some unforgiving granite in several places (only bitten lightly once, so far). What can you recommend that would give me similar performance, take two sets of golf clubs (I put the drivers in separately), but is sufficiently narrower that I am less likely to wince each time I make the trip? If you want narrow you have to go down a couple of sizes to something like a Hyundai i10. Alternatively, a small SUV/4x4 to which you can fit tubular sill protectors that extend beyond the car and fend off any damage. Something like a Suzuki Vitara, Ssangyong Tivoli, Dacia Duster, etc. My sister, in her mid 50s, has a 2002 Ford Focus Zetec 2.0 that she has much enjoyed driving for many years. Sadly, it is now costing her money regularly and is on its last legs. She has no idea what to replace it with, so I asked her for her wish list: Economical to run, insure and licence; Minimum 1.6 engine; A nice upright driving position (she suffers from a minor back problem and is quite tall); Maximum budget £2,000 but hopefully closer to £1,500.She has always felt more comfortable buying through a dealer, but wouldn't rule out a private purchase this time. It does not have to be another hatchback, nor even a four door - she would switch to a two door if the above criteria were met. She drives about 7,500 miles a year, mostly on quiet country roads. Would you able to suggest something suitable for her? Can you please publish the following information and if possible pass it on to someone in authority who may be able to do something about the ridiculous system for sharing Driving Licence data. I have used the system several times which is supposed to enable car hire companies and dealers to access licence information on a one-time basis. It works for me, but the system is open to failing in a thousand and one different ways. As a result, lazy car dealers and others take a short cut by asking for a customers NI details as well as licence information so they can access the DVLA site by logging in as the customer instead of using the one-time code. This is probably illegal. The problem is it also opens up the naive customer to a host of security issues, identity fraud etc as the NI number is also one of the keys to accessing government data etc. I have been unable to find anyone in authority to take on this issue. Can you please follow up? As a minimum it should be possible to convince manufacturers that their main dealers should not follow this practice. This ridiculous nonsense is nothing to do with the DVLA and everything to do with UK car insurers wanting to check driver convictions before issuing insurance on a short-term basis. Such stupidity exists nowhere else in the World. Everywhere else every car is automatically insured to be driven by every driver who has a licence. Even in the UK no such checks are made on foreign drivers with foreign licences wanting to hire a car in the UK. Only on UK licence holders. Scream at your MP. Does £1,330 seem a bit steep to replace the DPF on a 2010 Ford Kuga? Parts: sensor, insulator, gasket, nuts and filter £493 + VAT and Labour £507 + VAT. In response to Daniel Joseph, no. Not only that, if a foreigner rents a car in the UK the rental company does not check his driving record. Britain is the only country in the World that bases insurance premiums on a driver's record. Everywhere else a car is insured for any licensed driver. Yes I have been asked for it in the USA. However, when hiring a foreign car owned by a foreign branch of the UK hire company in the UK last time, I was not asked for it.